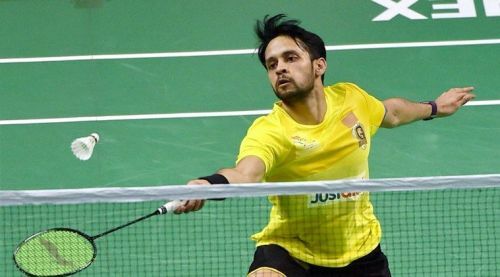 2014 Commonwealth Games champion Parupalli Kashyap has made a fine comeback from injury by reaching the quarter-finals of the Yonex Dutch Open 2018 in Almere, Netherlands on Thursday. He was joined by former Indian national champion Sourabh Verma in the last-eight stage of this Super 100 tournament. The eighth seeded Kashyap staved off a stiff challenge from Denmark's Victor Svendsen in the first game and then sailed to a 25-23, 21-12 win in 51 minutes. He next takes on World No. 93 Cheam June Wei of Malaysia for a place in the semi-finals. It could have been an all-Indian contest in the quarter-finals, which the Malaysian prevented by knocking out Subhankar Dey 21-9, 21-19. This is Kashyap's first tournament since recovering from a back injury that he had sustained at the Singapore Open. He tried to return to the circuit last month at the Hyderabad Open. However, he had to retire from his first round match after playing just a couple of points. The 32-year-old was recently in the news after his December wedding with Saina Nehwal was announced. Sourabh Verma too has been climbing his way back to the top echelons of the sport after suffering from an ankle injury. He returned to winning ways at the Russian Open in July and also earned a berth in the Asian Games-bound Indian squad. He has brought that confidence into the Dutch Open this week, where he hasn't dropped a game in three matches on his way to the quarter-finals. In the Round of 16, he beat Sri Lanka's Niluka Karunaratne to set up a quarter-final clash with World No. 68 Thomas Rouxel. Other than the two singles exponents, India also has representatives in doubles in the quarter-finals. The seventh seeded men's doubles combine of Arjun MR and Shlok Ramchandran beat Peter Briggs and Gregory Mairs of England, 21-18, 21-19 in 40 minutes. Up next for them are the fourth seeds Jones Ralfy Jansen and Josche Zurwonne.